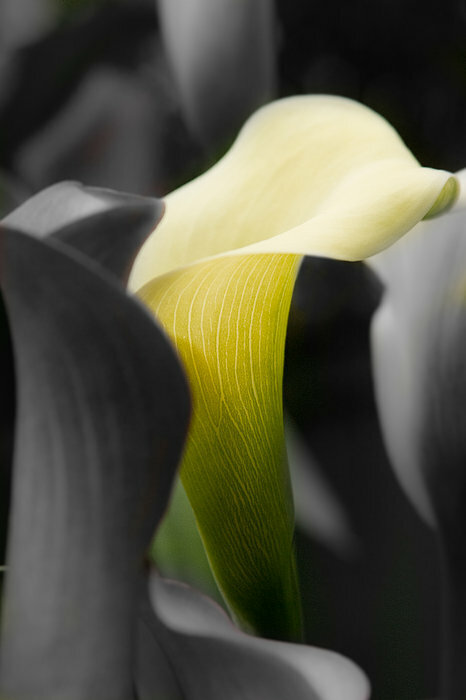 A bouquet of Calla Lilies lends itself to a selective color on black and white. 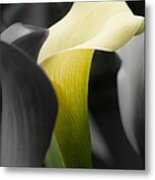 A simple bouquet where I selected one of the fluted flowers to remaining color where the rest I allowed to drift to black and white. 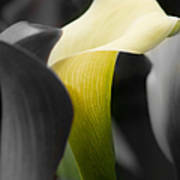 The Latin name for these lilies are Zantedeschia aethiopica and it seems to mean "pigs ear". 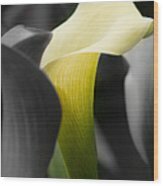 I guess if you look at one of these long enough the fluted curving lip of the flower could resemble a pigs ear. They grow around the world and seem to prefer moist wet areas many varieties will continue to bloom all year long in the warmer climates.